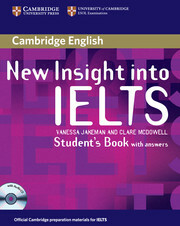 New Insight into IELTS offers comprehensive preparation and practice for IELTS. By exploring the test paper by paper, and looking in detail at each task type, the course gradually builds up the skills, language and test techniques students need to approach IELTS with confidence. 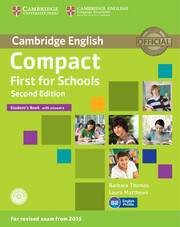 The course contains a detailed introduction to the test and a full answer key and is equally suitable for use in the classroom or for self-study. The material is intended for use with students whose current level is around Band 6 and is suitable for both Academic and General Training candidates.